Former Super Eagles Striker, Victor Agali has described Victor Moses’ performances for both club and country last season as enough to fetch him the African Player of the Year award. Moses and William Troost-Ekong are two Nigerians listed by CAF with 28 others chosen for the prestigious award. Nigeria’s Junior Ajayi, who plays for Al Ahly of Egypt, will compete for the African Player of the Year award based in Africa. Commenting on the award, Agali said Moses excelled more than the other players in terms of achievement for club and country in the year under review. “I can speak well of Victor Moses, who I think has been doing tremendously well with his club, Chelsea. He is one of the players that was instrumental to the club winning the English Premier League title this year. 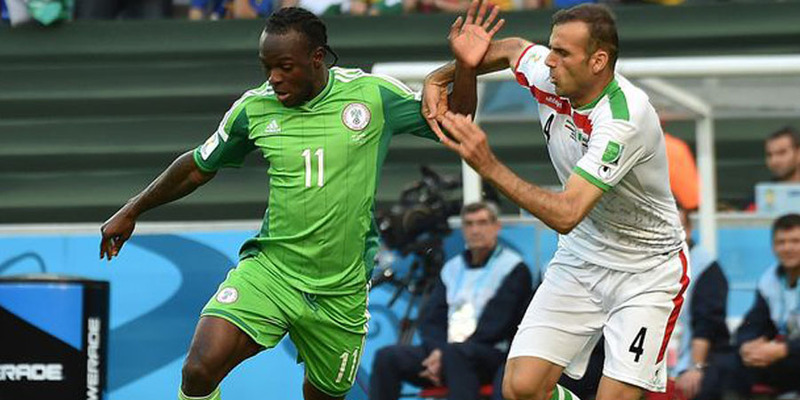 Moses was consistent with a big role on his shoulders for the Super Eagles, where his impressive performances also led to Nigeria qualifying for next year’s World Cup in Russia. “Another high profile player that I will pick is Gabon’s Pierre-Emerick Aubameyang. Although Aubameyang, who plays for Borussia Dortmund, also did well, he is not on top for his country unlike Moses’ influence for Chelsea and Nigeria and for that reason I will pick Moses ahead of him,” he said.